HDT’s Utility Support Trailers are integrated support systems that provide mobility, power, and/or environmental control to HDT shelter systems. Conforming to “safe to transport” criteria established by the Military Transport Management Command (MTMC), the trailers are suitable for secondary and unimproved roads and sealift transportability. Many are also certified for air transport aboard select military aircraft. 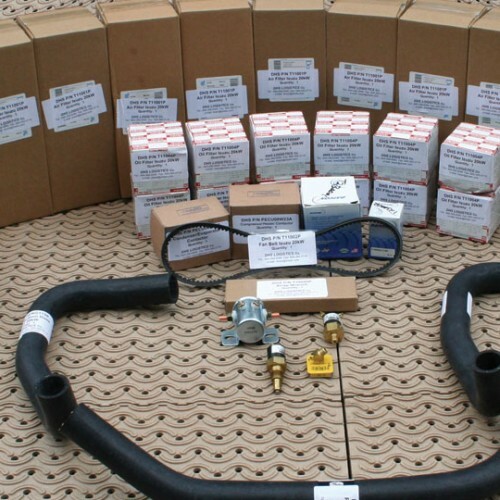 ECU Trailers – Trailer-mounted ECUs for cooling / heating with fuel tank for complete mobility. Generator Trailers – Trailer-mounted power generator with fuel tank delivering power to remote locations in sizes from 18 kW to dual 60 kW gensets. Generator ECU Trailers (GET) – Trailer-mounted generator and ECU for portable/towable environmental control and power needs in remote locations. HDT offers a full range of models from 18 kW with 5-ton ECU to 33 kW with 12-ton ECU. 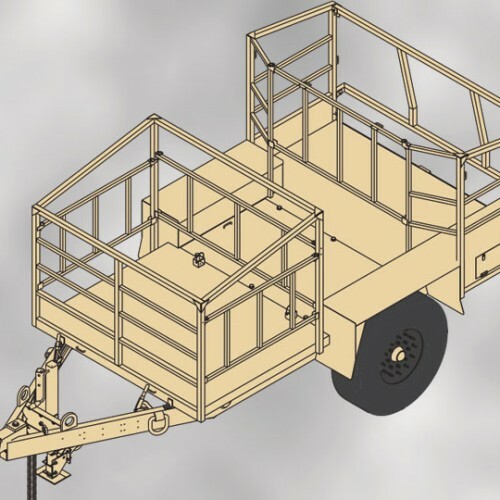 Cargo Trailers – Trailers for transport of packed expeditionary equipment such as heaters, shelters, and accessories. HDT offers a range of sizes, with and without gensets, fuel tanks and ECUs.